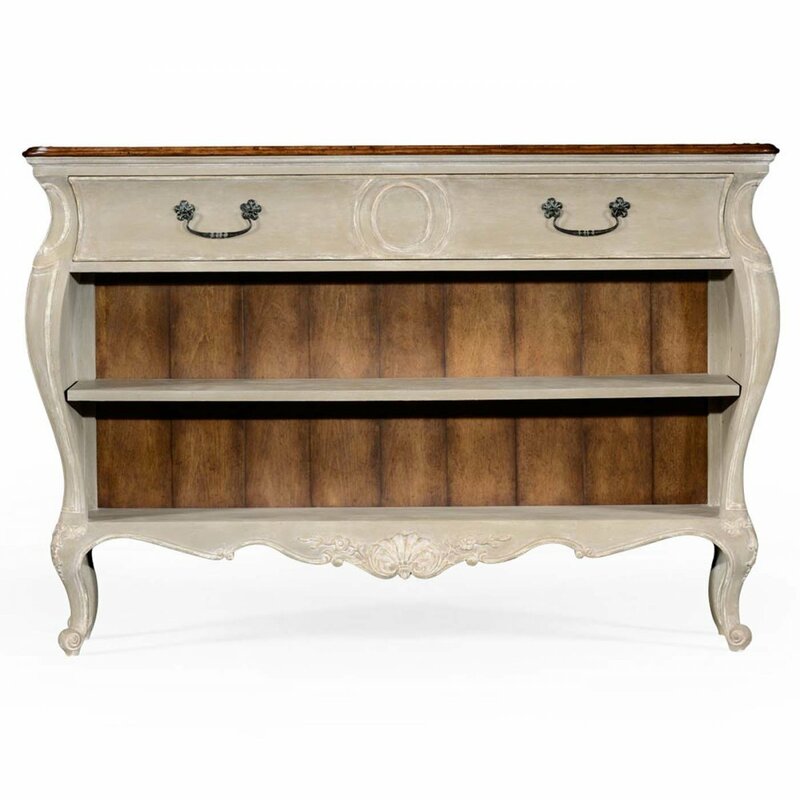 French Provincial style distressed Jonathan Charles French Grey Painted Open Cabinet with parquet finished top and panelled interior features a long single drawer, 2 shelves and patinated cast Brass Rococo handles. All set on cabriole legs. 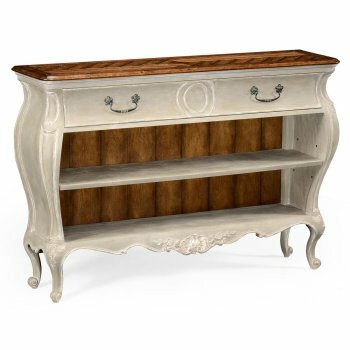 Carved details, Shabby Chic distressed grey finish and the classic French design add a regal elegance to this classic piece. A stunning, practical and very stylish piece of French furniture. 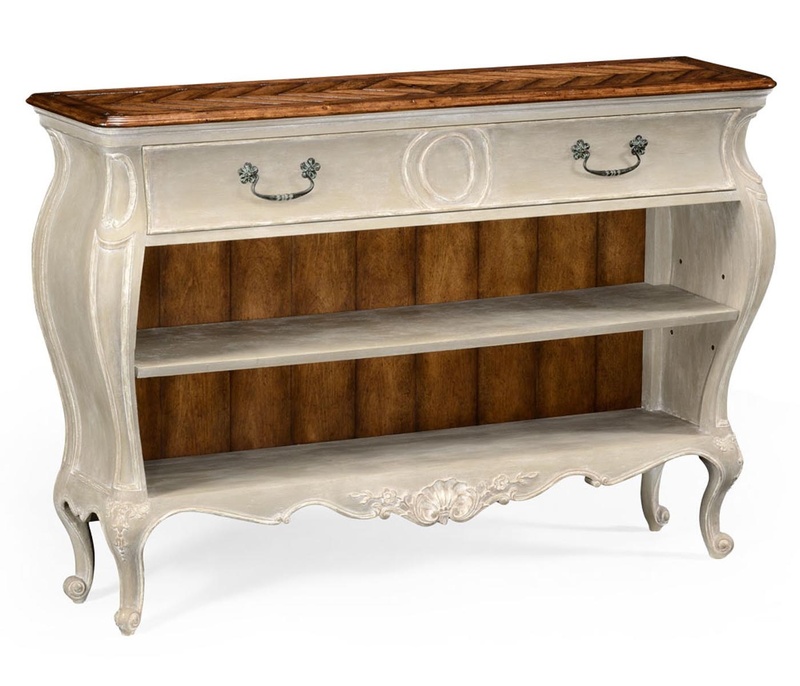 Jonathan Charles Shabby Chic Open Cabinet is a very elegant piece that could be used in any room of the house! Coordinate with other furnishings from the Jonathan Charles Country Farmhouse collection.